If you suffer from allergies you may have looked at your indoor plants and wondered if they are causing your asthma or allergies. Similarly, you might be curious about the best indoor plants for asthma and allergy sufferers. As someone who has terrible allergies – both indoors and outdoors – I’ve taken a number of steps to improve indoor air. I’ve thrown out carpets, changed air filters, and purchases air purifiers. One thing I haven’t done is throw away my houseplants. You’ll be relieved to know that many houseplants are great for indoor air quality and can potentially help people with asthma and allergies. In this article I’ll share my experience using houseplants in the bedroom to clean air. We’ll also discuss the best indoor plants for air purification, asthma, and allergies. In addition I’ll share the best air purifying plant for the bedroom, best houseplant for low light, a fun small bedroom plant, and the best houseplant for the bathroom. Let’s get started! A few years ago I moved into a new apartment. I was in graduate school and the living situation would be temporary. It was a cozy 2 bedroom apartment with carpeting throughout. It had air conditioning and heating. During my first year living in that apartment, my allergies became worse. The house was closed because it was a cold and dry winter. There was minimal circulation of fresh outdoor air and the HVAC blew warm, dry air through the house. I felt horrible but didn’t know why. At this time I hadn’t been tested for allergies and didn’t know the reason I felt so bad. I realized quickly that the vents in the HVAC were weak and weren’t capturing any dust. The carpets were filthy and hadn’t been shampooed or vacuumed in ages. I began problem-solving and looked for options to improve the air quality and moisture in my room. I learned quickly that houseplants can absorb toxins in the air and provide moisture to dry air. I wanted to improve my health so I bought a number of small bedroom plants. The plants added much-needed color to the room but more importantly, the plants made my bedroom air feel fresh with added humidity. Not long after this experience I was tested for allergies and discovered I was allergic to many things, especially dust mites. I learned it was important to maintain a very clean house, free from dust, pet dander, pollen, and chemicals. I made major changes to my home that improved the air in my and I continued to use houseplants. In fact, I added air-cleaning houseplants to every room. Below I’ll share the best plants for indoor air and I’ll share a few houseplants that may cause allergies. A significant source of houseplant allergies come from mold. If the soil is too moist mold can grow in the container (soil) or around the container (standing water). Mold can be problematic during humid summer months when the soil is less likely to dry out. The soil moisture content can be checked visually and with your finger. Ideally, the topsoil will be dry but the soil should be moist 1 inch under the surface. Some people water when they see the soil surface is dry – this is incorrect and often leads to overwatering. Most indoor allergies from plants come from pollen (in some cases it will be sap). For smaller trees or palms, choose female species that don’t have pollen. A plant that produces “heavy” (weight) pollen shouldn’t be a problem as it’s not likely to become airborne. If you have many houseplants and are worried about mold and pollen indoors you can offset some of their problems with a HEPA air purifier which cleans your indoor air and works great for rooms large and small. If you want to read our allergy article on air purifiers check out the link above. Pine – Christmas trees can cause allergic symptoms. Although they won’t be flowering while they’re in your home, they may be carrying mold and dust. In 1989, NASA, in conjunction with the Associated Landscape Contractors of America, presented a two year study called “The Clean Air Study”. Why would NASA work with Landscapers – it seems odd right? Well, NASA was researching ways to keep air clean while on missions at the International Space Station. Although it was originally intended for Space, the results of the study were broadly accepted for use in homes across America. Plants convert our waste (carbon dioxide) into fresh oxygen which we need. Plants also have the ability to remove formaldehyde, benzene, and other harmful elements from the air. 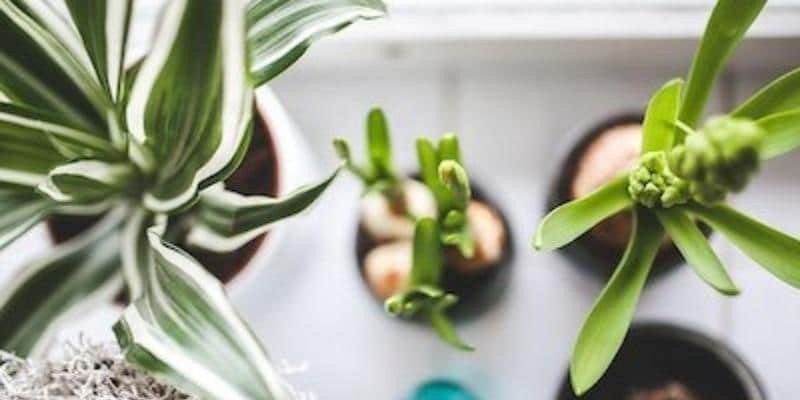 The Environmental Protection Agency states “indoor air can be 2-5 times worse than outdoor air”, so it makes sense to employ these useful plants in our homes. Check out this video before we look at best indoor plants for allergy sufferers. It details NASA’s study on houseplants and their ability to clean the air. The Areca Palm ranked highly on NASA’s list for its ability to remove formaldehyde, xylene, carbon monoxide, and toluene from the air. It can also humidify a room in dry winters or summers because it actively transpires (sweats or releases) moisture from its leaves. The Areca Palm can outgrow its indoor home but smaller plants are perfect to use inside. A more mature palm can transpire up to 1 liter of water per day which keeps air fresh, moist, and makes it easier to breathe. For people with asthma, moist air is especially helpful. The palm is originally from the tropics and that makes it an ideal for life inside. In most U.S. climates outdoor winter temperatures will kill the palm. Ideally, Areca’s like indirect light from the South. A full-grown Areca Palm can be costly but buying a smaller plant is relatively affordable. I bought a smaller palm and it grew fairly quickly…almost 10” in one year. As they grow, Arecas should be pruned, otherwise, they can reach 7 feet tall. If you purchase a smaller Areca Palm be prepared to report the plant every 1-2 years. As the plant grows the roots will need more space and nutrients. A larger plant requires a larger container and more soil. Even if you’re not familiar with houseplants I bet you’ll recognize the Peace Lily. It might be the most common houseplant in the U.S. – and for good reason. The Peace Lily has a great reputation as a beautiful and healthy plant. According to NASA’s research, this plant can help improve air quality by 60%. It neutralizes benzene, formaldehyde, and carbon monoxide. In addition, it can help reduce mold in the home. How does it reduce mold? The plant absorbs mold spores and converts them into food (amazing right?). They look great on a dining table, on a bedroom dresser, or on the sink in a bathroom. As a tropical plant, the Peace Lily requires a warm temperature (no less than 55 degrees Fahrenheit) and it prefers indirect sunlight. It grows from a rhizome in the soil which can be divided into new plants as it grows. My family uses Peace Lily in our kitchen, bathrooms, and family rooms. The flower is beautiful and the plant will help people with allergies breathe easier. Spider plants are another common indoor plant and great for people with asthma and allergies. They do more than just brighten up a room, they also clean the air. Spider plants have long thin leaves that are usually green with white stripes. They can be kept on a table or used in a hanging basket however they don’t look as great if they’re kept on the floor. They have the ability to remove a significant amount toxins in the household air within a few days – especially formaldehyde. The NASA study showed Spider plant performed the best of indoor plants with a 95 percent removal rate. Formaldehyde and other types of chemicals can be irritants to people with allergies or asthma and the Spider plant will help. This is my pick for the best indoor plant for asthma (check Spider Plant on amazon). The plant is easy to manage and tough to kill so you don’t need a green thumb. These plants look great next in an arrangement next to other household plants. If you’re up for hanging a basket from the ceiling, they also look great in the bathroom. For sensitive individuals, the Dracaena houseplant can help with those irritating chemical reactions. Its specialty is removing benzene from cigarette smoke and other household chemicals but it also removes formaldehyde, xylene, trichloroethylene. The best part about this plant is it requires little attention and does quite well in drought conditions. This doesn’t mean you don’t need to water it. You do, but less frequently (check Dracaena options on amazon). You won’t need to water every other day or on a regular schedule. It has a slightly different look than other indoor plants on our list. If you’re looking for taller, thinner option for a room, the Dracaena might be perfect. Bedroom plants can be chosen based on the amount of space you have and your design preferences. If you don’t have much space try a tall thin plant like the Areca Palm or the Dracaena. Both of these plants can be placed in a corner of the room and have minimal outward growth. For more oxygen at night consider a larger plant with a high rate of transpiration. A larger plant will require more carbon dioxide and respire more oxygen. We mentioned the Areca Palm above and its benefits for removing toxins and humidifying air in the home. Another option is the Boston Fern. They are bushy plants that can help restore moisture in homes and freshen air. They play a role in eliminating formaldehyde but require more sunlight and occasional misting of the foliage. Dracaena and Snake Plant do very well in low light environments. Better yet, both of these plants require less water than other options on the list. They are low maintenance. We mentioned the benefits of Dracaena above but the Snake Plant is also a NASA recommended plant that can filter air indoors while improving aesthetics. The snake plant is made up of tough, fibrous stalks that are green and white. They are rumored to be able to grow in a closet (though not confirmed). They can grow a meter or more, so purchase a size that will fit in your bedroom for a few years. When in doubt start small. A starter plant for the bedroom is the Aloe Plant. Most people are familiar with Aloe because of its use for sunburns. Aloe comes from a succulent plant which requires very little water and maintenance. If you’re new to indoor plants, an Aloe plant will be easy to manage and looks great on a nightstand. Aloe is great for kids rooms because they can learn to care for a plant that does very well on its own. They grow relatively slow so you may want to purchase a few smaller plants and place them around your house. I love Aloe and I cut of pieces of the plant to help heal sunburns and cuts. It’s an air filtering and medicinal plant wrapped into one! Air plants might not be on the top of the list for air purification but they’re definitely the coolest (and yes they help purify air). Air plants don’t require soil and it’s what makes them unique. They can be hung by a string, wire, or placed in a glass bulb. Air plants are perfect for bathrooms because they absorb the humidity from showers. And because they get their moisture needs from the air, they don’t need to be watered (low maintenance). Some people choose to use a spray bottle or splash water on them but if you take hot showers and supply plenty of steam, the extra water won’t be necessary. Because they absorb moisture from the air, air plants help reduce the growth of mold and mildew. I’ll be honest…we mention them as the best air purifying plant for the bathroom mostly because they look great! As someone who has suffered from allergies for years I’ve searched for every advantage in the home. I keep a clean house. I got rid of all the carpeting in my house and I utilize air-purifying plants. These actions have helped but I want to share two other options that will likely help just as much. When I was tested for allergies my allergist recommended a number of proactive environmental solutions focused on the home. In addition to keeping things clean and getting allergy covers for the bedroom, he mentioned 1) Using high quality HVAC filters and 2) Using a HEPA air purifier. HVAC filters are often overlooked when it comes to indoor allergies. I grew up using cheap air conditioning filters. They were porous and didn’t stop microscopic allergens from blowing around the house. It’s the reason I always felt ill when the air conditioning or heater was on. Dust mites, pollen, molds, and pet dander were blowing around the house without being captured by the filter. Once I discovered my allergies I invested in HVAC allergy filters and I noticed a difference immediately. I also saw a difference in the color of the filters. They would turn from white to grey within just a few weeks. Now I’ll turn on the vent once a week while I clean. The vent circulates air and traps allergens in the filter. HVAC filters that have “activated carbon” can also remove chemicals and odors from the air. Filters with added carbon are great for households with people that smoke or clean with strong chemicals. Air purifiers have come a long way in a short amount of time. 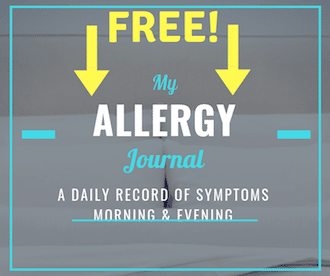 A decade ago I used an air purifier and I knew it wasn’t working – it also made my allergy symptoms worse. Technology has advanced and companies are trying to solve the air pollution problem. Air purifiers that use HEPA filters will remove all allergens from the air. HEPA stands for high-efficiency particulate arrestance and these filters are specifically for people with allergies. Investing in a HEPA air purifier for a room or whole house will add to the fresh air in your home. Air purifiers are intended to run 24 hours a day and can clean all the air in a home multiple times in a single day. Filters are replaced yearly. If you’re like me and having trouble with allergies, look into getting a HEPA air purifier for your bedroom or house. In this article we looked at the best indoor plants for allergy sufferers. As someone who is allergic to many things, I was always tempted to look at houseplants as the source of my symptoms. Little did I know that houseplants can actually help improve my allergies by removing hazardous toxins from the air and even reduce mold in the home. When I was going through my worst period with allergies I purchased a few air purifying houseplants and felt some relief immediately. I kept them in my bedroom and I noticed they humidified my room during the cold, dry winter. I could breathe better at night and my skin appreciated the extra moisture. If you have allergies there are a few plant species you won’t want in your house. Daisies, sunflowers, chrysanthemums, bonsai trees, ficus, and pine can all cause allergy symptoms. Most of the flowers mentioned come as part of bouquets so be mindful when your loved one comes home with a flower arrangement. Try these plants in your kitchen, family room, and bedroom. In addition to removing chemicals and mold from the air they provide humidity, fresh oxygen, and make the house look great. If your allergies are as problematic as mine, consider investing in allergy-quality HVAC filters (not available at department stores) and a HEPA air purifier. Along with beneficial plants, the HVAC filter and HEPA air purifier can have your family breathing fresh, pure, air. If you live in a city with plenty of pollution these are even more important. From one allergy sufferer to another, we hope you find relief! Thanks for reading. Glad it was useful. Plants can help and they look good too!